The Bible is not just an ordinary book, it claims to be the Word of God. In it, there are amazing accounts of God’s direct intervention in human history. Can we find direct evidence of these events? 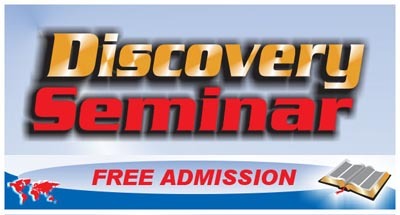 Don’t miss hearing the details in these discovery seminars. 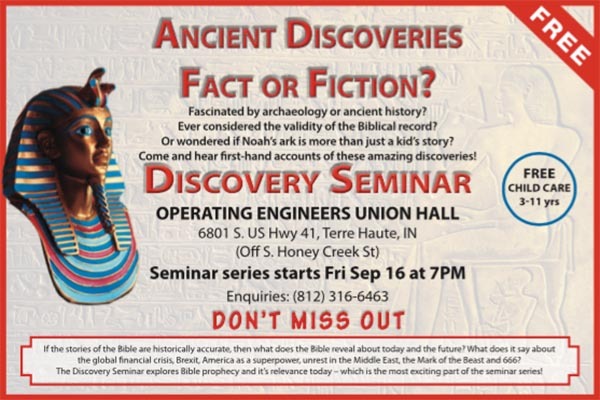 Starting August 2, 2015 in Christchurch, New Zealand and continuing til August 12th.